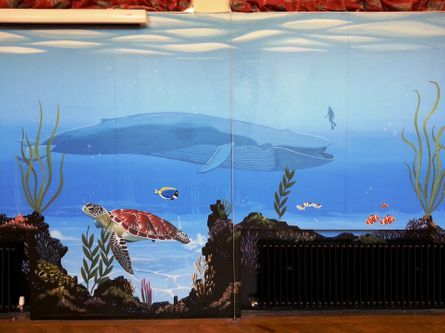 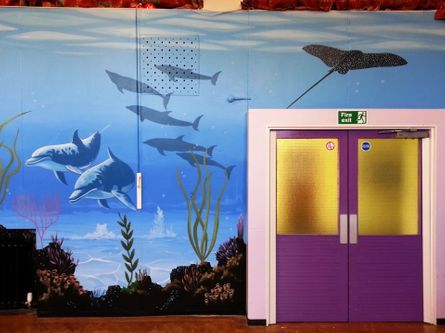 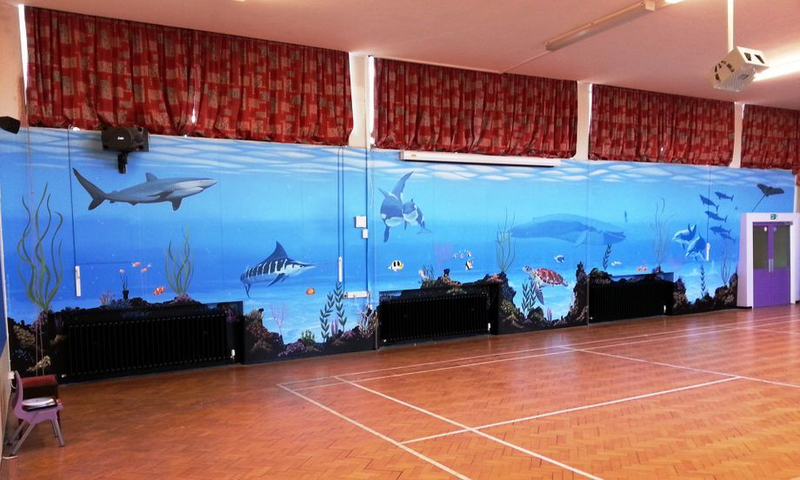 This underwater scene was painted in Crofton Infants School Hall. 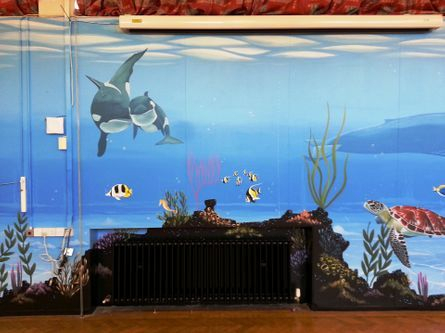 This was a very large wall and the mural really brightens up the area and makes it an inspiring and educational space. 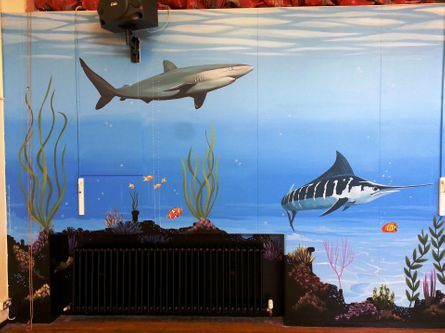 This took us two weeks to complete.